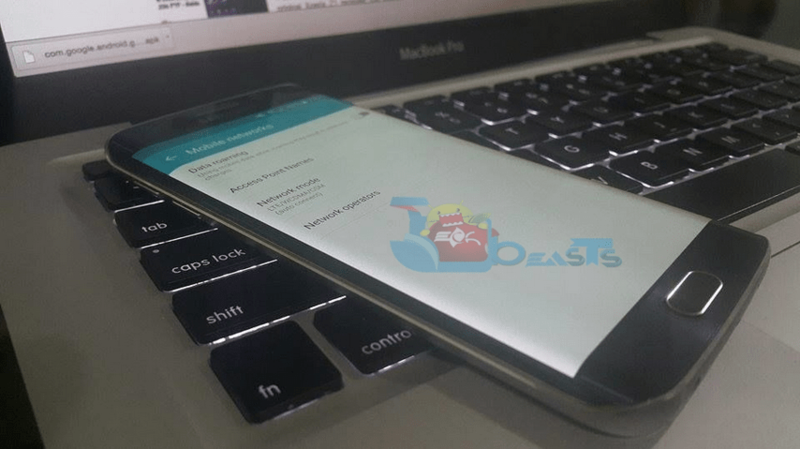 As we have covered all the Samsung Galaxy devices general issue like Not registered on Network, Restore Null IMEI, unknown baseband and how restore EFS backup. Now a days Samsung Galaxy S6 and S6 Edge are the trending devices from Samsung so they have same issues and problem as we have seen in the past with other Samsung Galaxy devices, Samsung Galaxy S6 and S6 Edge have same problems like battery drain issue, bluetooth connectivity issues and Not registered on network. Today i’ve prepared a guide in which i’ll help you to fix Samsung Galaxy S6 and S6 Edge Not Registered On Network. There is no rooting involved in these methods, but if you want to perform root on your Galaxy S6 and S6 Edge you can check our guide from here. Before going any further let me clear few things in all of these methods we are using any root or unlocking method. Following steps are for troubleshooting and all worked on only unlocked devices, if you have unlocked your device using root i would suggest you not to perform any of these steps. let’s begin with the guide to fix Fix Samsung Galaxy S6 and S6 Edge Not Registered On Network. ^ First of turn off all the wireless connection on your device and enable the Airplane mode, wait for 2-3 mins and turn off the Airplane mode. ^ Turn off your device and take out the sim card, now insert back the sim card and turn on your Galaxy S6. ^ Please make sure that your sim is nano sim, otherwise it won’t work properly. ^ Update your device to latest OS, it may be the reason that your device is running on old OS that’s why it is showing not registered on Network. One more reason is that cause of incomplete software update you are facing such issue, to fix not registered on network you have to flash the stock rom using Odin on your Samsung Galaxy S6. ^ Open mobile networks from settings on your Galaxy S6, now press the Home button for 2 seconds along with power button for 15 seconds. Now your device will blink few times and it will reboot. ^ If none of these methods worked for you then last option is to restore IMEI and Efs backup, please use this guide to restore efs backup on Samsung Galaxy S6 and S6 edge. Please do tell me in comments which method worked for you, and if you have any suggestion please do tell me so i can add and share it.